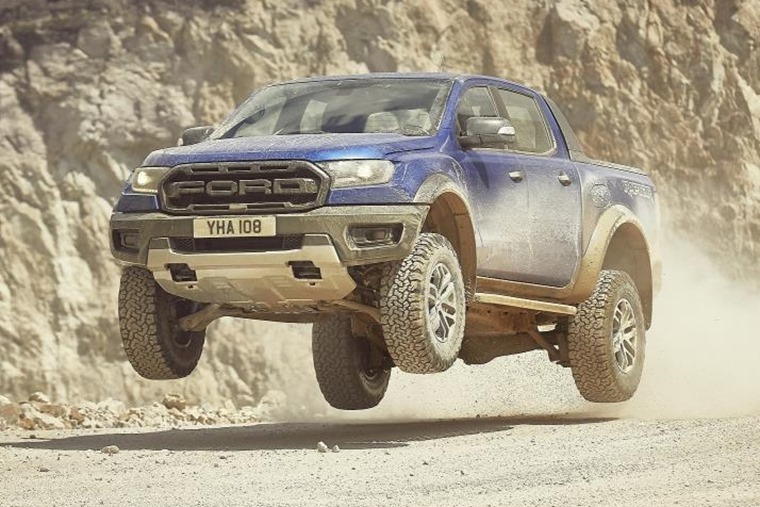 Ford has confirmed that the new Ranger Raptor – the toughest and most high-performing version ever of Europe’s best-selling pick-up – will be arriving on our shores, following its debut at the Gamescom trade fair in Cologne, Germany. Developed by Ford Performance for the true enthusiast off-roader, the first-ever Ranger Raptor will go on sale to thrill-seeking customers in Europe in mid-2019. Powered by a Bi-turbo version of Ford’s 2.0-litre EcoBlue diesel engine and delivering 213PS and 500Nm of torque from Ford’s new 10-speed automatic gearbox, the commanding presence delivered by the ultimate Ranger’s imposing dimensions and extreme styling is supported by a unique Ford Performance chassis optimised for high-speed off-road driving and go-anywhere capability. You may be wondering why Ford chose to launch the new vehicle at a gaming event. 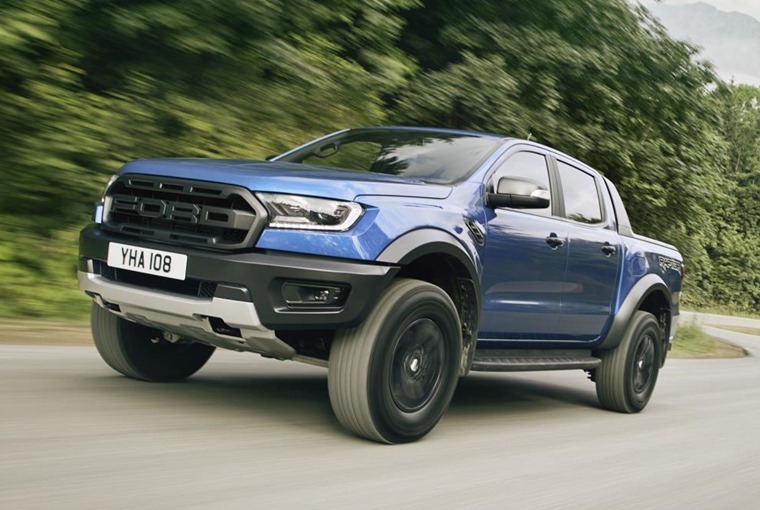 Not only did they become the first manufacturer to do so, but the announcement went hand-in-hand with Ford and Microsoft revealing that the Ranger Raptor will feature in the new Forza Horizon 4 racing game on Xbox. Built to withstand high-impact off-road events, the new Ranger Raptor’s aggressive design is driven by performance and functionality. 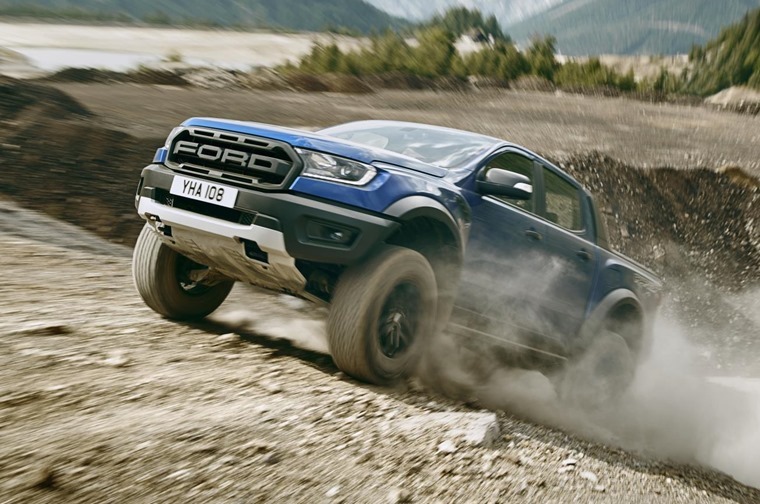 Ranger Raptor’s unique, super-strong reinforced chassis frame uses high-strength, low-alloy steels to endure the punishment delivered by off-road racing while the race-bred suspension has been specifically crafted to tackle fearsome terrain at high-speed while remaining in complete control and comfort. FOX shock absorbers with Position Sensitive Damping provide higher damping forces at extremes for unparalleled off-road capability, and lower damping forces in more moderate conditions for a smoother ride on-road. All-terrain BF Goodrich 285/70 R17 tyres have been specially developed for the Ranger Raptor. Measuring 838mm in diameter and 285mm wide, the design offers a tough sidewall to take on the most formidable environments with confidence, and an aggressive off-road tread pattern, which provides an iron grip in wet, mud, sand and snow conditions. “The standout experience of the Ranger Raptor, hands down, is how far you can push it off-road and still ride like a millionaire on-road,” said Damien Ross, chief program engineer, Ranger Raptor, Ford Motor Company. 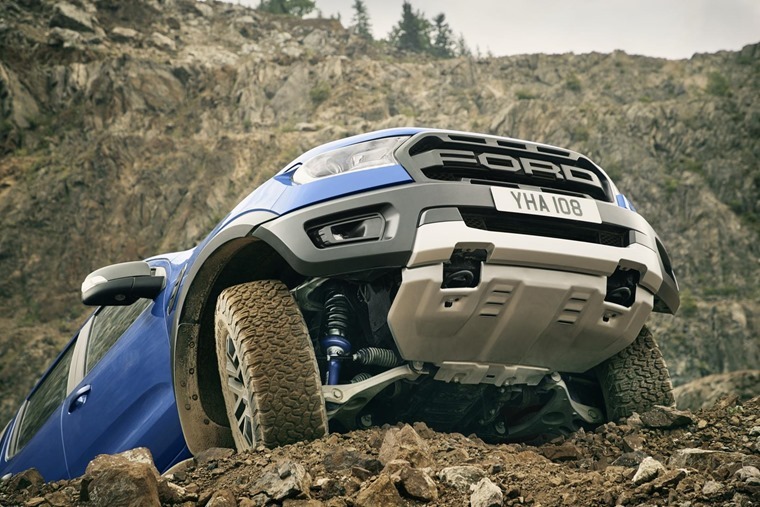 Ranger Raptor also features unique underbody protection to deflect off-road obstacles. The new bash plate is made from 2.3mm thickness high-strength steel in addition to the Ranger’s standard engine and transfer case under-shields. Ford engineers extensively tested the new Ranger Raptor’s powerful powertrain to prove durability in the most fatiguing conditions, including running the high-pressure and low-pressure turbochargers until they glowed red-hot for 200 hours non-stop. Driver assistance and safety technologies that boost confidence include an enhanced version of Ford Stability Control incorporating Roll Mitigation Function; and Electronic Stability Control; Trailer Sway Control; Hill Start Assist; Hill Descent Control; and Load Adaptive Control. Even better, the 8-inch sat-nav features a ‘breadcrumb’ feature which allows drivers to lay a trail and retrace their steps in unfamiliar terrain when off the beaten path. This is on top of regular SYNC 3 infotainment features such as the ability to control audio, navigation and connected smartphones using simple, conversational voice commands.